Thank you for the photographs. 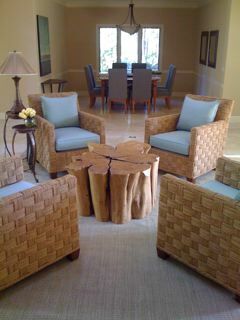 It was my pleasure to have worked with you in creating the stump table for this room. I am honored to have been contacted by you and your decorator. Warm wishes to you and your family as you gather together this holiday season. " 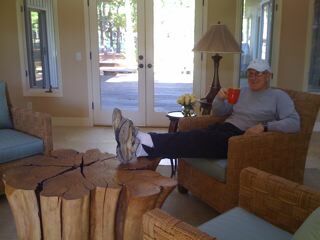 This stump coffee table featured deep undulations around it's perimeter. In addition to it's shape, the natural hue and tone fit nicely into carole's room design. 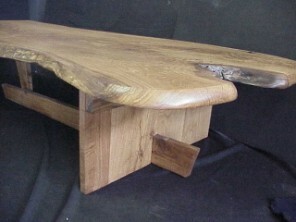 This table measures about 44 by 47 inches across and sets 19 inches tall. View a similar table by clicking HERE. 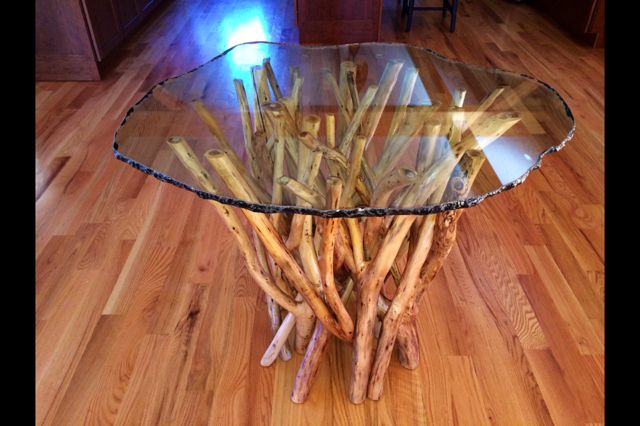 To view entire stump table index click HERE. "Here are some pics, Mike. Thanks again for your outstanding work." This is a GREAT photograph David ! I was pleased to hear your report concerning the care and diligence my shipper took with your piece. 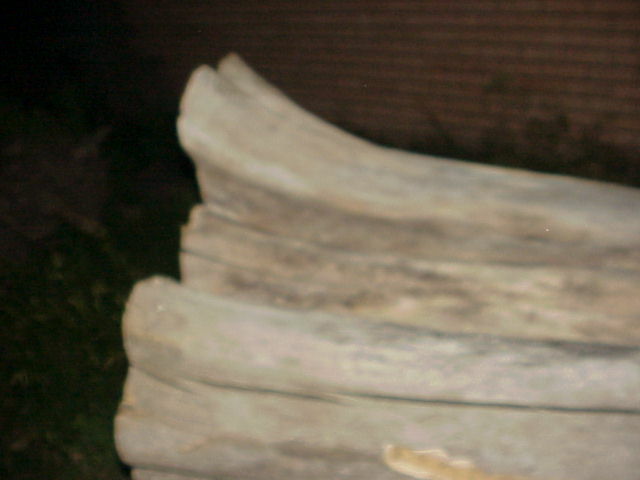 These are the original photo's that David saw, from which a decision was made to proceed with the project. Thank you for your faith, David. Amorphic table cost range and inquiry form is located at the bottom of this page. Amorphic coffee tables are created one at a time. You will be involved from the selection of the piece to the final finish. Costs range from $2,800 to $4,500 depending upon size. You may obtain a specific quotation by emailing Mike at rustic@wtciweb.com . As of this writing, June 25th, 2011. I have three etreme amorphic pieces left . Thier diameters range from 27 to 34 inches and apprx 20 inches tall. All are in a stage of kiln drying.. These likely will not be available too long. Contact me at your earliest conveninece if interested..